Here is another helpful video. A meaningful TED talk video by Professor Elyn Saks to help us understand people who has mental illness. How many of us frequently argue with our spouse? I do. Simply because both of us will battle it out intellectually and sometimes emotionally to justify and defend our views! About 2 weeks ago, we had a quarrel and both of us felt pretty upset. At a spur of my emotional moment, I felt like cancelling a family trip which was scheduled in a week time, and it felt so right to make that decision to cancel the hotel even though the booking fees were not refundable. Thankfully , I did not let my emotions got the better of me. 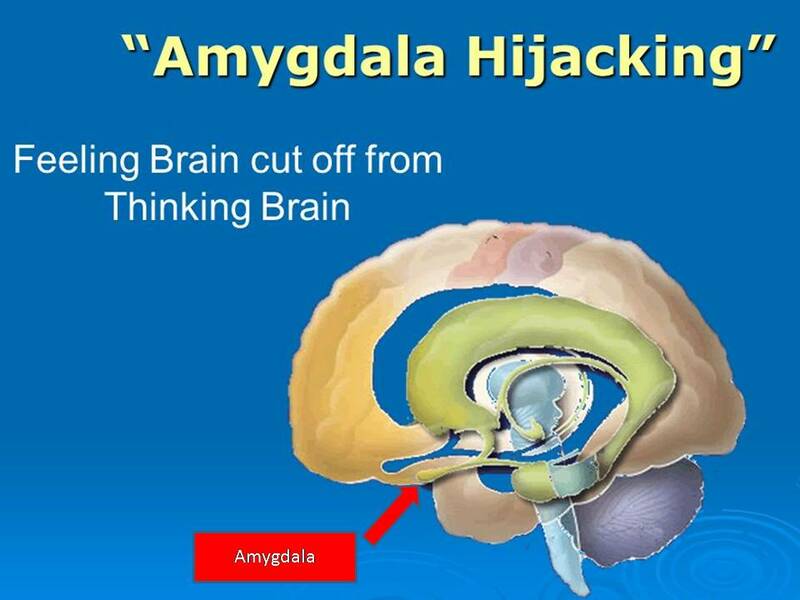 Several years ago, I came across the term Amygdala Hijack, used by a Singaporean speaker John Ng, an expert in mediation and conflict management and author of the book “Dim Sum for great marriages”. In fact, the term was reportedly coined by the famous psychologist, Daniel Goleman, author of the book, “Emotional Intelligence : Why it can matter more than IQ”. The amygdala is an almond-shape structure in the brain which functions as the emotional traffic controller. It is also called the emotional brain. It is a highly important structure for our survival when we need to face off with a ferocious lion ! It regulates fear and anger responses. On the other hand, our brain has the Frontal Cortex or the Thinking brain which serves as the centre of logical and rational thinking. Besides, it also regulates self-control, calm, wisdom and discernment. During moments of perceived danger, the amygdala will be rapidly activated to start off the fight or flight response. For individuals who may had previous traumatic experiences, their amygdala may be highly sensitized to any perceived threats, be it minor or major. An overwhelmed amygdala would then suppressed ( Hijack ) the Thinking brain ( Frontal cortex ) in order to confront the perceived “beast” in an attacking and defensive mode. You see, it felt so right to fight when we perceived that our emotional security / dignity / individual rights has been threatened ! After I had calm down, I began to realized that my decision to cancel the hotel bookings were absolutely impulsive and emotional in nature. It was a biased, irrational and an unwise thought. The kids would be utterly disappointed with daddy for breaking my promise for a much needed family trip. And I may regret bitterly over my impulsive decision. I began to realized that both of us were merely over reacting because our amygdalas were HIJACKED ! So , are we merely puppets to the automatic survival circuits in our brain? The answer is NO. It is very important to widen the gap between the impulse and action. We can choose to practice self awareness or mindfulness. 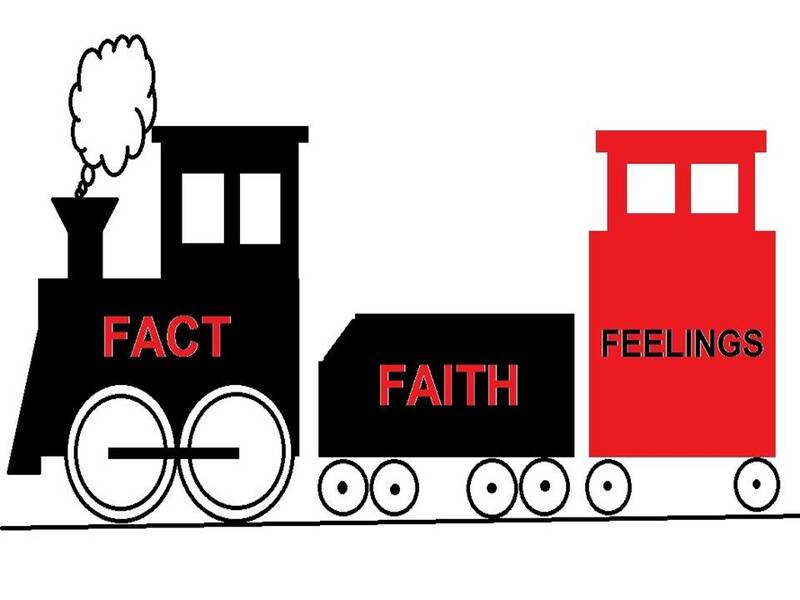 We can practice being aware of our “emotional temperature”. Instead of reacting like a knee jerk reflex, we could learn to respond like a traffic light system, Stop (Red), Calm Down to Think(Yellow) and Respond ( Green) in an understanding, rational, reasonable and responsible manner. Sometimes it helps to discuss with a trusted and wise person before make any impulsive decisions which we may regret later. Having written all the above, i realized the need to constantly remind myself that the precious relationships in our lives is far more important than the minor issues which is often not worth fighting for. i also believe that the take home message is to choose our battles – and if we really need to battle it out, we need to fight fair. Here is a short documentary video on Dementia.